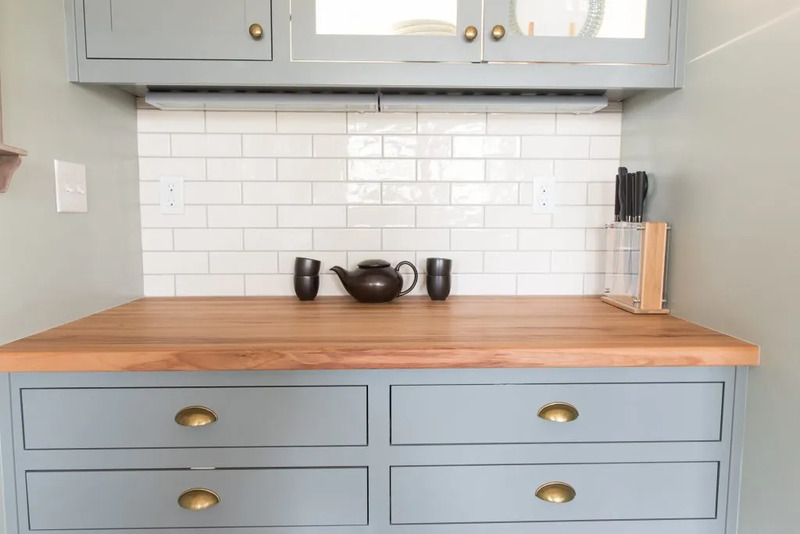 These homeowners love to cook, but the dark, cramped kitchen that was original to their bungalow didn’t have room for both of them. Now the clients enjoy cooking here as a family. 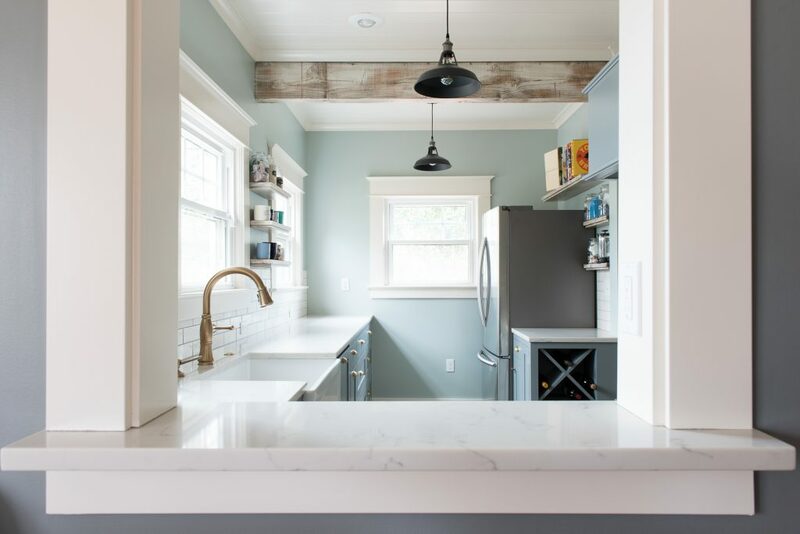 The space used to be dominated by a pantry and was closed off with narrow doorways, leaving little work space. We took this room down to the studs and worked with designer Ellie Wellstead to craft a comfortable, spacious kitchen that feels original to the house. We removed the pantry and several other walls, requiring new structural beams in the floor and ceiling. We custom built all the cabinets, and built floating shelves to match the exposed beam. 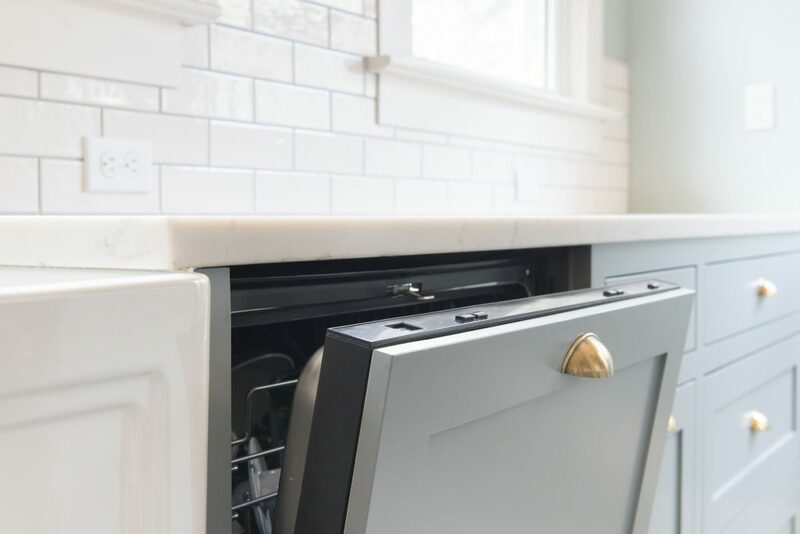 A cabinet face on the dishwasher matches the custom cabinetry, as does the custom cover on the vent hood, providing a smooth backdrop. 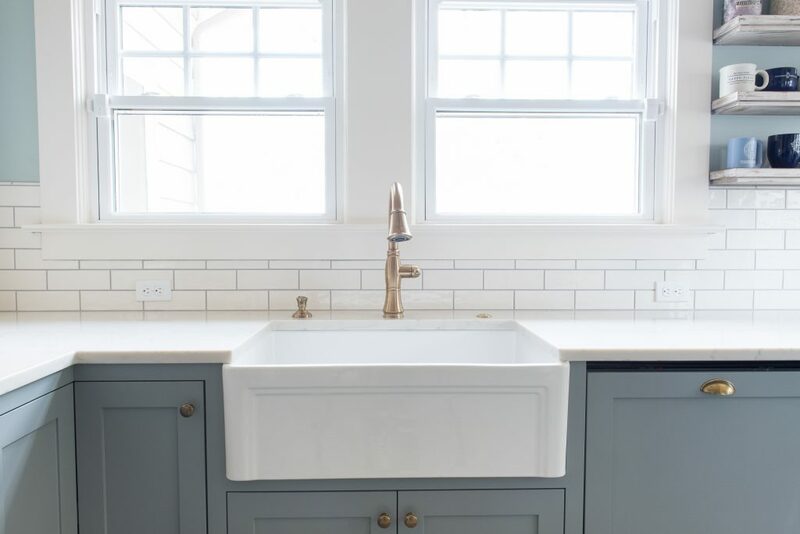 The farmhouse sink and champagne bronze fixtures pop against the blue cabinets. 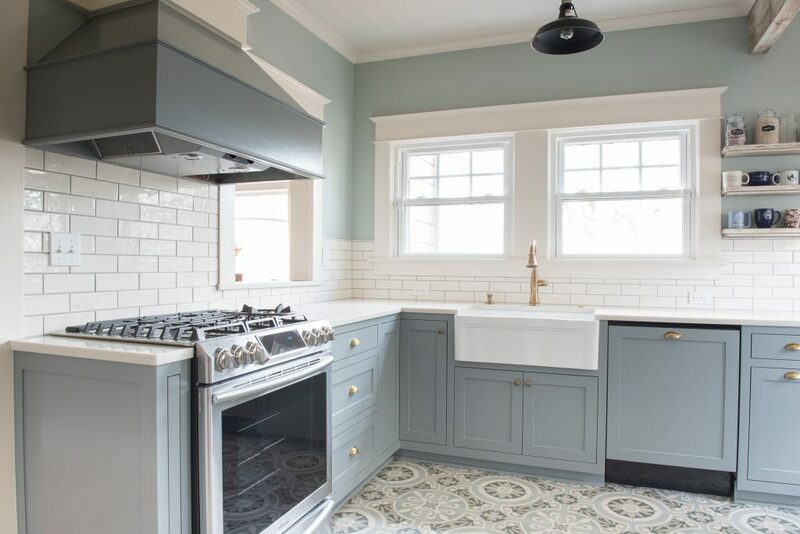 The countertops are white quartz, and the 1930’s industrial factory style pendant lights are from Schoolhouse Electric. 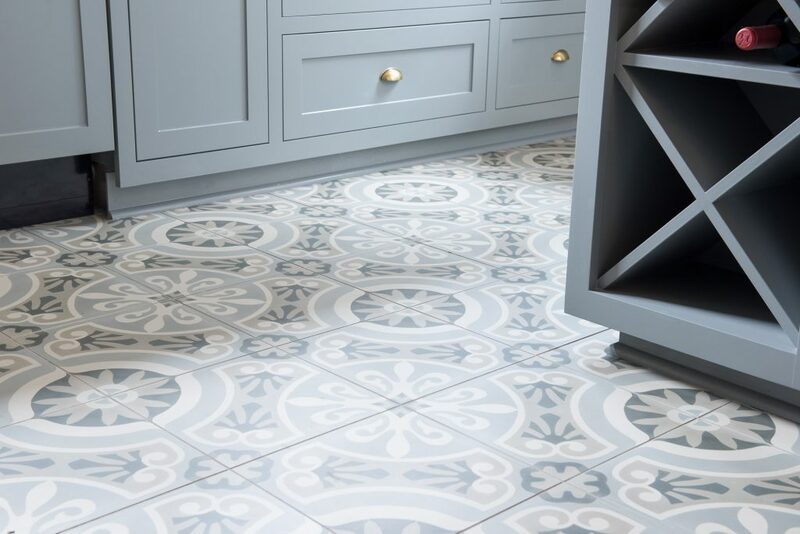 The accent tile adds a classic character to the floor. 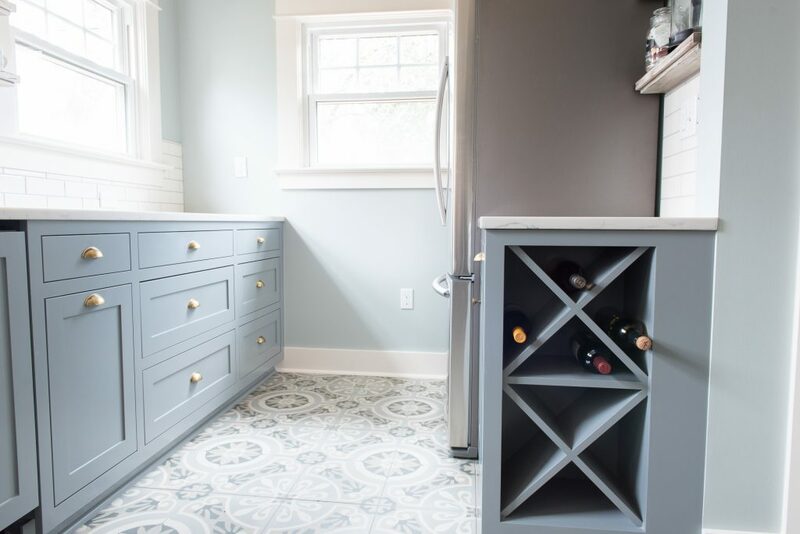 This kitchen includes touches that echo the homeowners’ personalities, from the wine racks and the display shelves to the coffee bar. 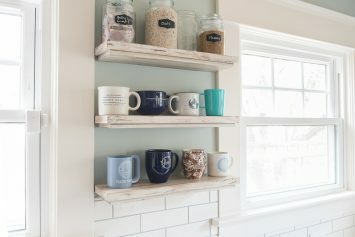 Because upper cabinets would cut off light, we installed open shelving about the counter. 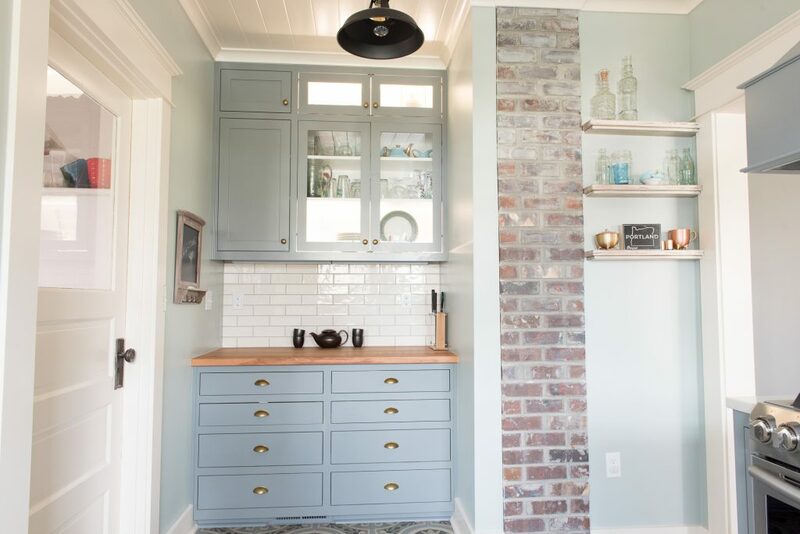 The coffee station includes lighted cabinets and a wood slab countertop next to exposed brick from the fireplace. 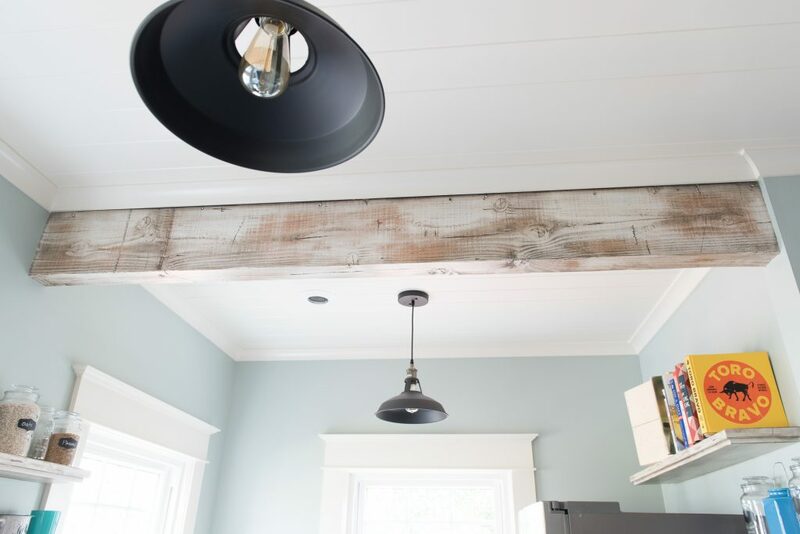 The ceilings are covered with shiplap, echoing the age of the home. 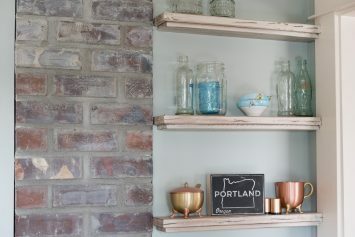 The new exposed beam has been treated with a faux vintage finish which is matched on the custom floating shelves. We moved a wall to expose brick from the fireplace, carve room for the coffee bar, and open up a doorway.